Vietnam’s capital earned an estimated US$2.24 billion from exports in the first two months of this year, up 21.3 percent year-on-year, according the municipal Statistics Office. Staples posting encouraging export turnover growth included machinery, equipment and parts, textiles and garments, telephones and components. The domestic sector experienced a positive turnover rise of 14 percent, accounting for 53.3 percent of the city’s total export value in two month period, the office said. 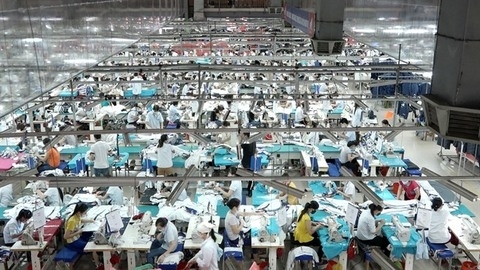 The two-month performance was a good signal for the city’s economy in the context of the country witnessing an export turnover reduction of 1.3 percent in January compared to the same month last year, director of the municipal Department of Industry and Trade Le Hong Thang told kinhtedothi.vn. However, Thang said it would not be easy for the capital to reach its target of raising export value by between 7.5 percent and 8 percent this year. The director attributed the situation to strong fluctuations in the global financial and monetary markets and a stretched trade war between the US and China. In order to achieve the export target and facilitate the city’s exporters, Hanoi would continue to help enterprises access loans, improve administrative reforms and accelerate trade promotions. At the same time, it would help local firms diversify the design of their products, access new technologies, promote their brands and origin traceability in a move to increase the added value of their products. The city would also call for investment to develop infrastructure, concentrated industrial zones, clusters, logistics infrastructure and service systems as well as build an information database for business and export activities. Thang also urged local businesses to develop their own trademarks while improving product quality and personnel to meet the strict demands of international markets. Last year, Hanoi shipped $14.23 billion worth of goods overseas, a year-on-year increase of 21.6 percent, the department’s statistics revealed. The US, Japan and China remained the city’s biggest markets, with values accounting for 16 percent, 13 percent and 12 percent, respectively.